The Julian Chichester stand at Decorex was one of my favorites. Full of eye-candy from lamps to sofas, to beautiful tables and cabinets - so much to love. 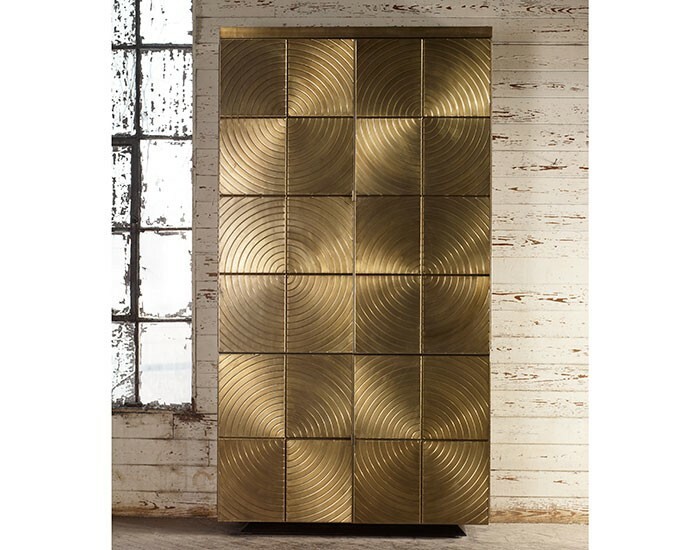 But the thing that really caught my eye was this Abbado cabinet (okay, and a lamp that I'll show you another time), the door panels are adorned with raised concentric circles of aged brass that are just gorgeous. And with plenty of storage space within, it's a win-win, falling in the very best category of super beautiful AND super practical.